Here’s yet another round-up of some great current deals out there. Let’s just call it our public service to anyone looking to add to their personal film collection (we totally don’t need a shopping intervention. Not at all). 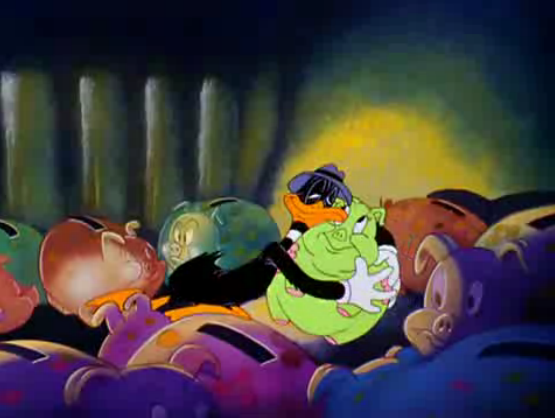 There’s no greater love than the one between a duck and his piggy bank … unless it’s our love for a fantastic deal. As always, please note that the sale prices listed are accurate as of posting, and may be subject to change (and quickly). So if one of our recommendations catches your fancy, we urge you to snap it up as soon as possible. Also, please note that we are not being compensated in any way for making these recommendations. We are merely passing along these deals as we find them, so you can stock your shelves as we fill our own. 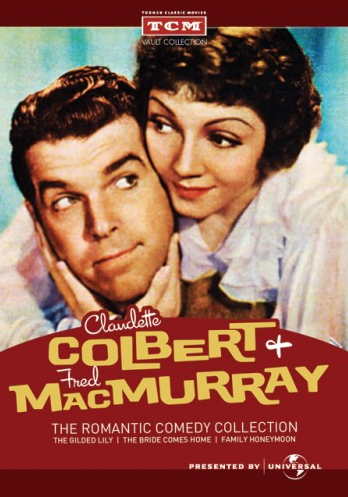 Over at the TCM Shop, you can find Claudette Colbert and Fred MacMurray: The Romantic Comedy Collection on sale for $13.99–that’s 60% off! The set includes three films that span the actors’ seven-film partnership: their first pairing in 1935’s The Gilded Lily; their second film, The Bride Comes Home (also 1935); and their final movie together, the 1949 comedy Family Honeymoon. We heartily recommend that you snap this one up while you can. Other sales of note at the TCM Shop right now: the Conversations with Robert Osborne set (which we recommended in our last round-up) has been reduced to $11.99, or you can bundle it with A Night at the Movies for $18.98–a total savings of 68%; the four-disc Joel McCrea Westerns Collection is currently 50% off ($19.99); the five-film Western Horizons: Universal Westerns of the 1950s set is now 60% off ($19.99); and the four-film TCM Showcase sets dedicated to Barbara Stanwyck and Claudette Colbert are, respectively, 60% ($11.99) and 73% ($7.99) off. Amazon, per usual, has some fantastic deals this week. 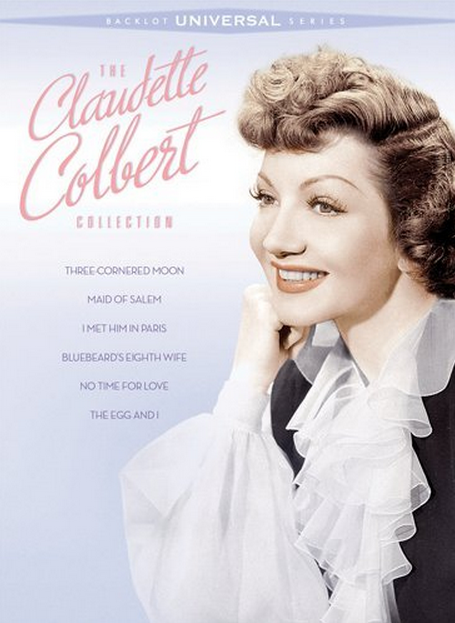 The Lucille Ball Film Collection is marked down 66%–a veritable steal at $17.08. The set includes five films that showcase Ball’s wide-ranging (and sometimes underrated) abilities, including her dramatic tour de force in The Big Street (1942); the great Dorothy Arzner-directed gem Dance, Girl, Dance (1940); the 1963 comedy Critic’s Choice, co-starring Bob Hope; and two musicals: Du Barry Was a Lady (1943) with Gene Kelly and Red Skelton, and Mame (1974), an adaptation of the popular Broadway musical. And if you want some more Lucy, the four-film First Lady of Comedy: Lucille Ball set is only $5.89 (a 61% savings). 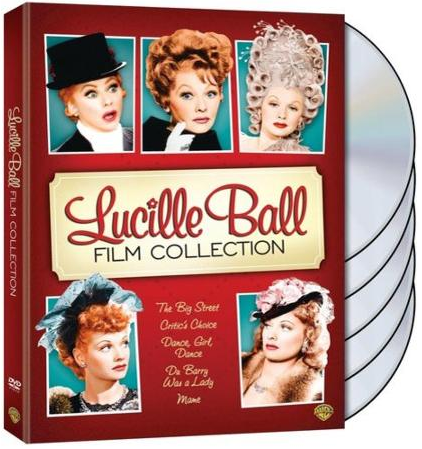 This no-frills collection includes a quartet of movies from Lucy’s time as the “Queen of the B’s” in Hollywood. True to their nature, these second-tier flicks are not the best pictures you’ll ever see, but it’s worth getting the set for two enjoyable comedies–1949’s Miss Grant Takes Richmond, co-starring William Holden, and 1950’s The Fuller Brush Girl, with Eddie Albert–both of which foreshadow the endearingly goofy humor that Ball would bring to television in I Love Lucy a couple of years later. And finally, if steelbooks are your thing, Amazon has a wide selection of them on sale for 45% off right now, including 1960’s Psycho ($10.98) and 1974’s Chinatown ($13.67). Come across any sweet deals on classic film lately? Give us a heads-up in the comments! Ooh! Thanks for the great shopping tip! Also, I LOVE the new look of your site. A nice homage to the silent era. Thank you so much! A friend of mine designed it, and I think she did an amazing job.